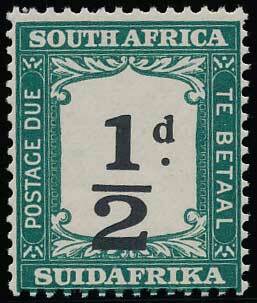 1927 ½d no wmk., black and green. Showing downwards shift of value. Very fine unmounted. SG D17 var.